Viewing topic "61 Versus 88 Key Versions for Composing and Mock-ups"
1. Is the 88 key version keybed the same on as in the (excellent) CP4 and if not, what is the difference? 2. Other than keybed, are the 61 and 88 key versions identical? 3. 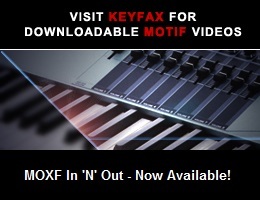 If I get the 61 key version, can I use one of my 88 key slabs via MIDI, accessing all of the MOFX functions? Answer to #1: I don’t know how it is on the CP4 but I know that the MOFX8 is not bad at all. The CP4 has the 88-key NW–GH (Natural Wood Graded Hammer) action. Here’s some info from Yamaha. Thank you Philwoodmusic!. Had me do a double take there, as I first saw “Phil Woods,” the great altoist.